This is somewhat of Duncan Phillips' full discography. Or at least all things I know of. Know of more such discs and have the details / cover images? Please contact us! > Duncan played drums and percussion on/for the original "Go"
> Duncan played drums and percussion on/for this album. > Duncan played drums and percussion on/for this EP. playing to this best of collection. CEMA Special Markets' best-of album. album series powered by DiscLive ('Adoration Tour 2004'). > Duncan played percussion and drums on/for this special CD. > Duncan played drums and percussion on/for this single. 2002 on / auf: Phil Joel - "bring it on"
> Duncan played Tambourine on/for this album. 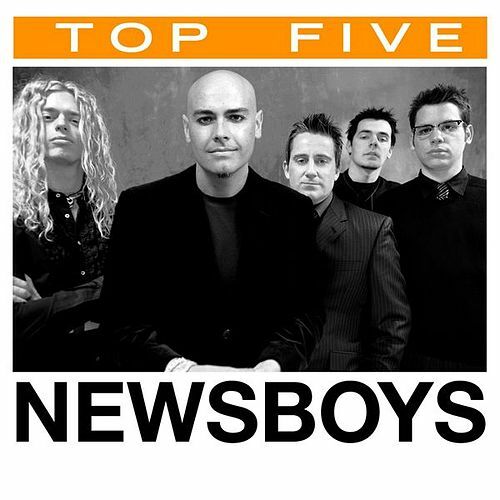 2002 Newsboys - "newsboys remixed"
2001 on/auf: The Waiting - "wonderfully made"
> He's also the Executive Producer of the record. 2001 on/auf: Various Artists - "unshakeable (Aquire The Fire)"
2001 on/auf: Go Fish - "infectious"
2001 on / auf: Jody Davis - "jody davis"
> Duncan played percussion on/for this album. co-wrote the song "love liberty disco". > Duncan does the drum and percussion part. 1996 on/auf: Code Of Ethics - "soulbait"
"glory", "free", "good things" and "echo". 1994 Newsboys - "going public"
n/a From Australia, both Duncan and Peter moved to the U.S. They had no idea that the other had done so. Duncan was playing in a band on the west coast when Pete heard that Duncan was in the U.S. It just happened (isn't God cool?) that the Newsboys where looking for a keyboard player. 80s Back in Queensland, Australia: He also had a band that played for youthgroups and such. At the same time Peter was starting a band called the News. They were friendly competitors.